When the painting is a family business, there exists a natural alchemy and it is not hard to be a successful artist. Working with his father, Dan Mc Caw and younger brother Danny McCaw, despite their influences, John McCaw created a personal style and a different vision. 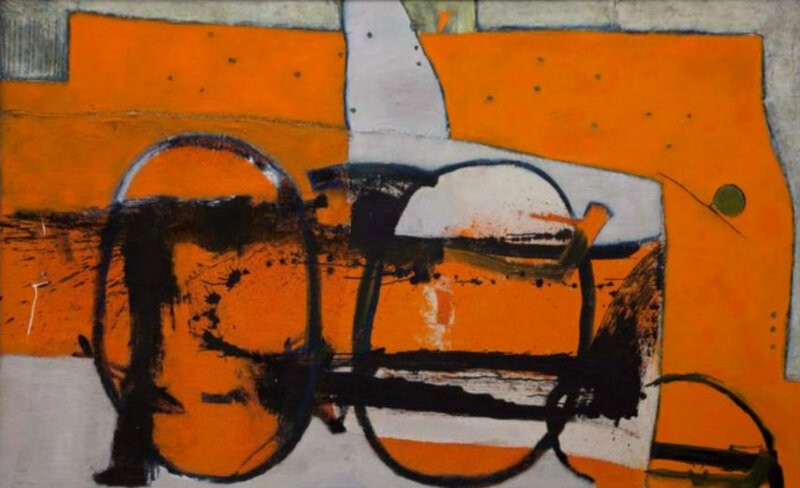 His rough paintings are colored with the earth tones, emphasized by strongly designed simple shapes. Connecting his two professions, anthropology and art, his work evokes organic appearance interpreting objects from the past. Its main characteristic is spontaneity, considering that instinct has the primary role in the creation. McCaw received his bachelor degree at California State University and his work has been shown in numerous solo and group exhibitions. Of crucial importance for the understanding and interpretation of McCaw’s paintings are imagination, the possibility of conclusion, ability to look beyond the surface and analogy. Suggesting universal themes, as life and death, joy and sadness or religion, it involves a more abstract goal of finding meaning. 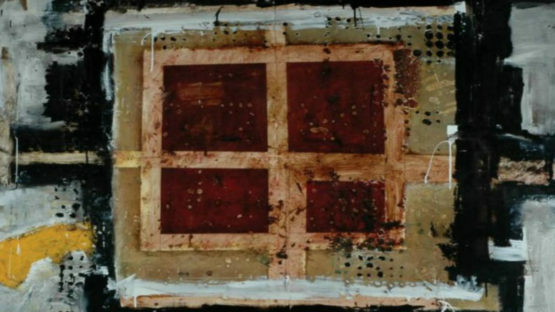 It can be interpreted in many different levels and despite the individual interpretation, these paintings are totally opposite in the production. McCaw’s creation is not restricted by anything. It is the endless resource of emotions and his internal sense. Connecting the present and the past, absorbing the environment and possessing the endless imagination, this artist brings to his canvases the perfect harmony which he was found between his inner passions and outer expression. Using the simple shapes, emphasized by strong form and heavy surface, John McCaw visually provokes with organic colors, encouraging the viewer to ask questions. His academic education in ceramics and anthropology coming to the surface in every aspect of his artwork. Emotionally connected or visually attracted, McCaw strives to depict pure and unique experience. Clearly influenced by his brother and father, he has articulated his expression in the special and unique way. 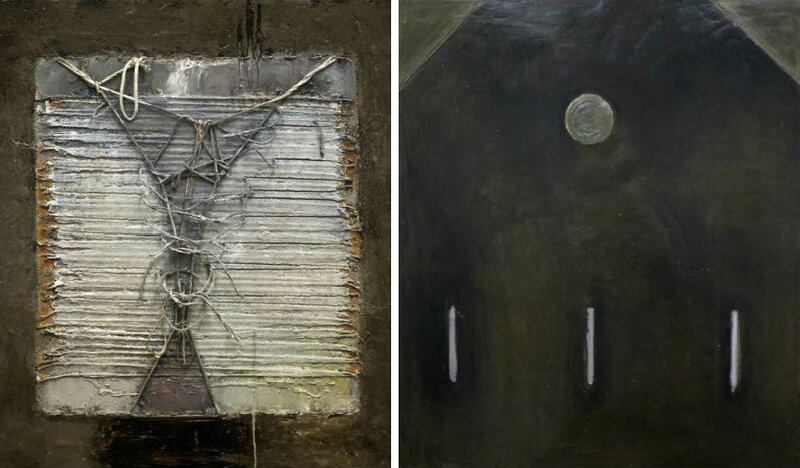 Exhibiting together, these three artists have some similarities, but the differences are much more pronounced. Many of John McCaw’s paintings seems like relics from the past which contain elements of life, suggesting that anatomy of human existence was revealed. At the first glance, they look darkly and gloomy, but if he uses just a little bit brighter colors, everything takes totally different meaning. The simple shapes contribute to the feeling of universality revealing the essence of pictorial representation. John McCaw is represented by Gallery 1261, Denver.